The trade deficit widened by €403.4 million when compared to 2017, reaching €2,858.5 million. Both imports and exports show decreases of €5.4 million and €408.7 million respectively, the National Statistics Office said on Monday. 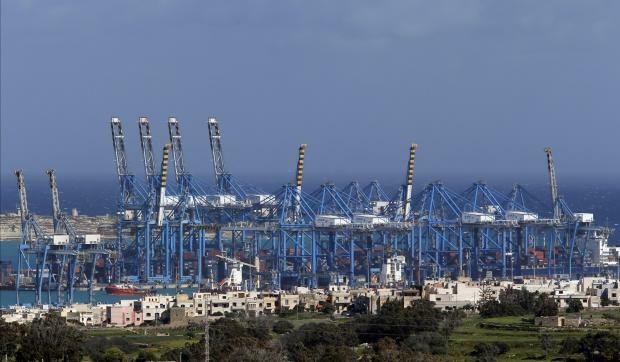 Lower imports were mainly due to machinery and transport equipment, which decreased by €280.5 million. This was partly outweighed by increases of €126.6 million in mineral fuels, lubricants and related materials, €67.2 million in chemicals, €41.7 million in semi-manufactured goods and €32.1 million in miscellaneous manufactured articles. 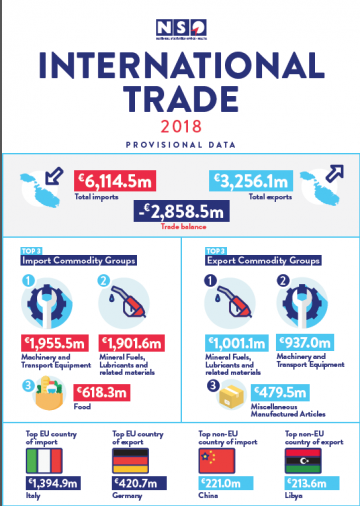 On the exports side, the main decrease was registered in mineral fuels, lubricants and related materials (€427.2 million).